Using image-optimizer web utilities for improved speed. – Get under 2-second load times on shared magnetic hosting with free plugins and themes. When you’re working hard to optimize a website, you learn that image file size is an important detail for speed. Many online publishers haven’t the time to learn Photoshop or other image editing programs. Automated optimizers are the next best thing and can speed your production. But which ones do a good job and how good is good enough? Big questions. We’ve tested some nice online utilities for optimizing images, but only three stand out. These can be as frugal as optimization done in standalone programs like Photoshop. Don’t just ignore image speed issues. 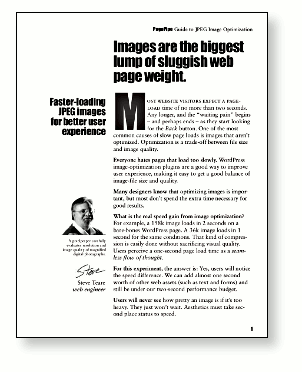 Sadly, halving the image weight on your home page will not make it load twice as fast. There are many other things to take into consideration. Nonetheless, image size and weight are the biggest contributors to site bloat. It’s worth your time to learn a few compression tricks. Images are the biggest lump of sluggish web page weight. Everyone hates slow loading pages. Automated image workflow is an effortless way to improve user experience. Without difficulty, you can achieve the right balance of image file size and best quality. Optimizing images helps reduce your website visitor’s frustration. PagePipe’s recommends only three web image-optimizer utilities. Please try the 3 image utilities and see if they have value for the web file sizes you use. DynamicDrive image results are displayed by Quality-10 increments. We liked this simple, still-image visual feature a lot. DynamicDrive had an upload size limit of 2.86MB. That is too small for images straight out of a digital camera. We couldn’t upload the larger test JPEG because it is 5.5MB. We still like this browser-upload utility best for most web work because it shows all ten results for comparison. No fiddling with controls. Visual selection is easy. Size limit = 10MB, 2,000px wide, Cropping or resize option. The software needed for image optimization must be only the browser. No other programs or plugins; such as Adobe Air, Windows Only, Flash, etc. We want to upload the test images by browsing or drag-and-drop. We consider it a bonus if the browser imaging tool has an image resizing option. The tool must work. Seriously? If it fails, it’s off the list. We’re only interested in [tipso tip=”a type of compression where a certain amount of information is discarded.”]lossy compression[/tipso] for the most page-weight reduction. We prefer optimizers with reduction control in steps of 10-increment quality settings. 90Q down to 10Q range. We pushed down to 10Q for testing when possible. We’ve used smush.it before. It’s part of Yslow performance measurement tool by Yahoo! It never makes much of a difference. There are better alternatives. Many swear by this method. We don’t think it’s that cool by comparison. On the test, it failed to upload the images. We tried again – and gave up. We didn’t care that much. Oh, Boy! WP Smush takes it’s place. Finally, got rid of the sh.it. Bad naming! We think Kraken has potential with the WordPress plugin version. But the online browser version doesn’t allow you to make quality settings. Our trees-rocks test image only compressed by 12.4%. Unimpressive. 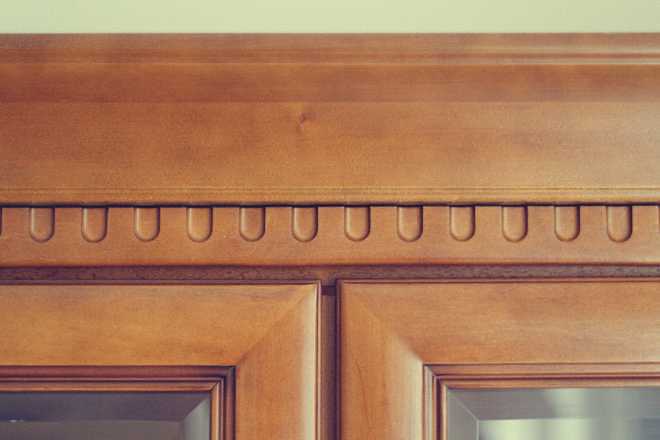 And the larger “wood” image wasn’t allowed. They said for that size we’d have to upgrade to Pro version with an upper limit of 16MB. Forget it! FAILED uploading and gave an error message. Our images worked fine everywhere else? Go figure. Yes. We tried more than once. Desktop app for Adobe AIR. Disqualified because it requires more than a browser. Has a 5MB limit and made no difference. “Zero Percent” change on the trees and rock image. Compressor.io didn’t cut it either. trees – rocks only compressed by 24%. That’s not good enough for us. The “wood” image was better (-72%) but no resizing option. It wasn’t of much value for those big, fat digital camera images. Slow speed is caused by images that aren’t optimized. It’s a trade-off between file size and image quality. Learn about proper image optimization. Heal the Internet. There is no one-size-fits-all solution for image optimization. No common formula. That’s why robot-plugin optimization is usually too conservative and overcautious. They don’t compress enough. The human eye is the best judge of how much is enough. Every image is different in potential gain. Only optimize on your 10 most important landing pages. You don’t need to worry about every image. Even though you could squeeze an additional 200k of image weight from the homepage, it wouldn’t make significant difference. Why? Browsers load images in parallel. Previous PostPrevious SiteGround and poor mobile speed. Next PostNext Free discrete plugins replace bloated security plugins.